← How to choose the right Domain Name for your website? If you are reading this article, you are now on the start of the way to your first website. Also we can assume that your budget isn’t very big and you need reliable, non-complicated and fast solution. You don’t have specific html, flash, php and other stuff knowledge. This little article is exactly for you. Any custom solution with unique exclusive design (custom web development) will cost you from $300 (and higher). Final estimate depends on the functional requirements. So, we will pay more attention to the cheapest way. FREE or any other kind of templates can solve your first problem — choice of desirable design, layout, and structure. The stage of choosing template doesn’t contain any risks. Everything is simple — download FREE template (you can choose one of our free templates) or buy any template according to the regular price, which is $99 (for our templates). 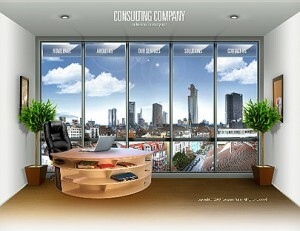 The second stage is website customization. You have 2 ways — pay for it ($119 basic package in the measures of the template) or make it by yourself. You don’t need to pay any fees if you are making it by yourself. Our advice is to choose simple html templates — they can be edited in any text editors and require minimum web development experience. Also obligatory requirements for the each website are domain name and webhosting. You can read about «How to register right Domain name» here. You can find helpful the following article «Cheap Web Hosting Guide: 19 Secrets Nobody on The Payroll Will Tell You» as well. «Register FREE (6 month) webhosting here — http://www.000webhost.com/623891.html. If you are ready to spent your time, the minimal website will cost you only $4. We don’t consider it to be reasonable to spend huge sum of money on your first website. Your main goal is getting more experience in the field of web development. 2 Responses to How much should I spend on my website?